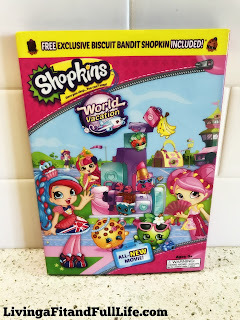 Living a Fit and Full Life: Shopkins World Vacation from Universal Studios Entertainment on DVD October 17, 2017! Shopkins World Vacation from Universal Studios Entertainment on DVD October 17, 2017! 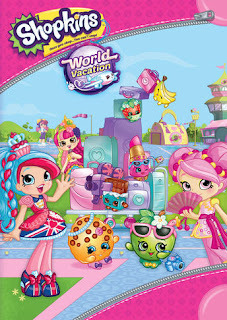 Shopkins World Vacation from Universal Studios Entertainment is on DVD October 17, 2017! My kids absolutely love Shopkins, so I knew right away they'd love this DVD and boy was I right. They've watched it everyday since receiving it and haven't seem to tire of it yet. It has all their favorite Shoppies and Shopkins. They even love the crazy bandits and the even crazier adventures! Go on a wild chase around the world to find Cookie in the new Shopkins World Vacation DVD. It's sure to be a vacation kids will never forget! Click HERE to learn more about Universal Studios Entertainment! Follow Universal Studios Entertainment on social media!